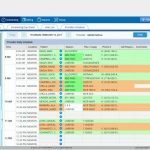 Practice EHR Software is a medical practice management software designed to suit the needs of small to mid-size medical practices. Core features of this Electronic Health Record include making electronic medical records, scheduling patients, and offering medical billing services. Its flexible features allow it to be customizable to fit the needs of internal medicine practices, podiatrists, physical therapists, chiropractors, family medicine, psychiatrists, and various other prominent medical specialties. 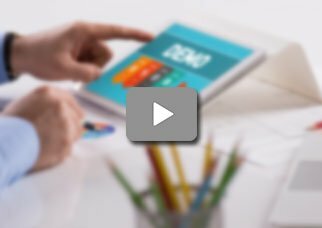 Perfect for practices needing a simplified solution, this electronic health record gives its users a comfortable and dependable access to quality medical billing services. These special services by the company include checking inquiry eligibility, patient statements, claim to scrub, workers’ compensation claims and follow up and denial management. Medical features of this health IT solution that help physicians in providing better care to patients include charting, notes making through voice recognition, electronic counter, clinical decision support, document management, e-prescribing and lab integration. 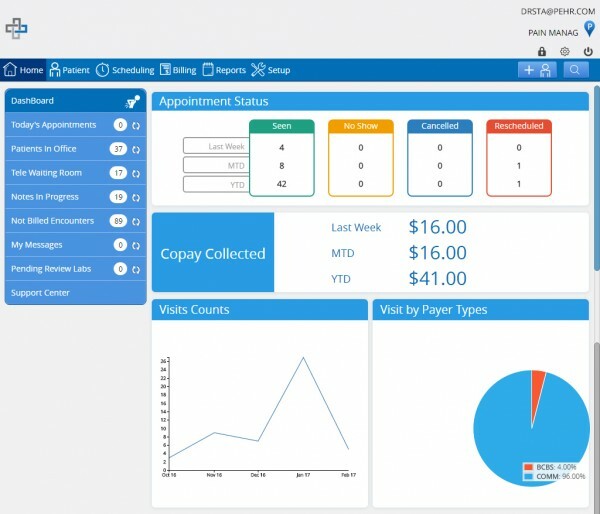 When it comes to the administrative aspects of a medical practice the software strengthens clinics with patient scheduling, secure messaging, appointment reminders, sending and receiving the fax, Tele Visit, Kiosk, and a complete patient portal. 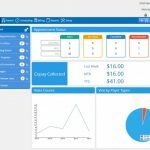 Available as part of one integrated suite, the software includes features that help increase efficiency and boost revenues. 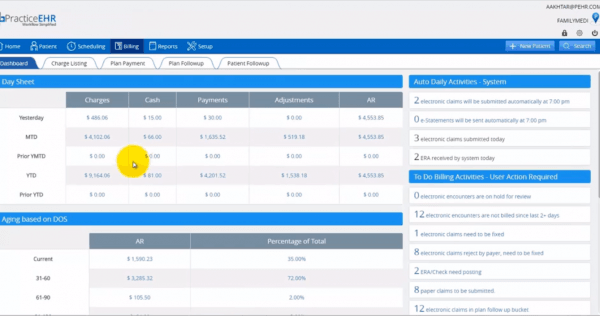 Providers can access everything from a single screen and get a holistic view of the entire practice and key performance indicators. Practice EHR is a Meaningful Use certified software that is entirely cloud-based and can be accessed via remote desktops and mobile devices. This makes it perfect for physicians who have to move about different states to provide health care to patients. The software is also interoperable, which means that it can easily integrate with labs and offer e-prescribing. Pros: Incredible reporting capabilities. Practice people are always there to help if there is any query. The system is user friendly and easy to use. Cons: Lack of customization features also there should be more templates added. Verdict: The software has proved itself very vital for our practice. Cons: The software lacked Patient Kiosk. Although there are sources telling this feature has been released. I hope they are true. Pros: Customizable physical exams and treatment plans. Flowsheet ability for a variety of diagnoses. Reporting capability is easy. Downtime is negligible. 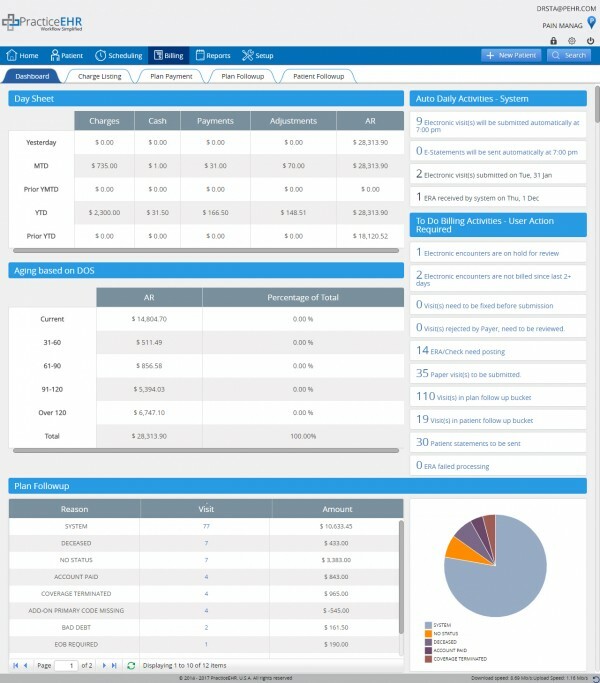 It is really a robust EHR software. Cons: The only thing i can think of right now is the billing process. It was a little complex in the start. Pros: Transparency of the EHR is wonderful! 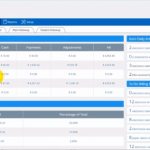 Ability to see real time claims&comma; payments&comma; overall status in a payment cycle. Ease of use for clinical staff are some other features make it perfect for every practice. Cons: I really can not think of anything bad or any issue in the software. 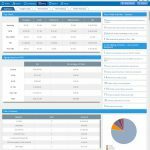 Verdict: Practice EHR Software is the right choice! Pros: Very easy to use&comma; straight forward claiming process&comma; okay customer support. Cons: Doesn't allow customization even for small change like fees etc you have to call customer support. Pros: Ease of entering/dropping claims&comma; ability to generate useful and custom reports&comma; day end review allows you to see if any claims need corrections immediately which is great. Cons: Too many clicks in the system wastes a lot of time and is something that needs some work. 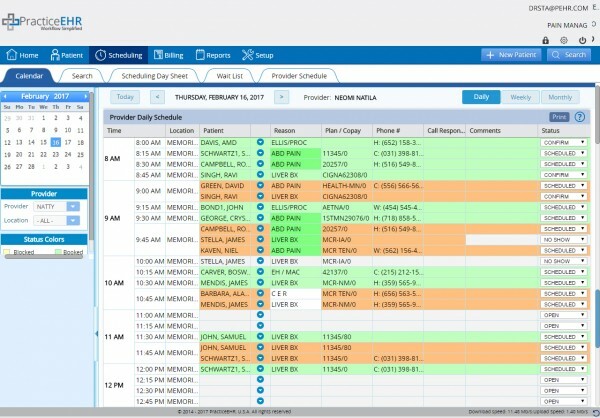 Pros: Patient scheduling is easy. Patient billing is very quick and efficient. Posting and billing issues are resolved on a timely basis. Documentation is as simple as it gets. Cons: No back button anywhere to go back to the previous page. Do something about it.